New York, NY, December 20, 2018 – MagnaCare, a leader in health plan management, network rental, medical management, and casualty solutions, announced today the launch of a new brand identity, including a new logo and website. The new branding, which will elevate the MagnaCare brand among both new audiences and current clients, is intentionally designed around MagnaCare’s brand promise—putting the customer first. A modern, fresh logo reflects this priority, emphasizing the custom-built nature of MagnaCare’s client strategy, and the personalization and flexibility that are offered in each of its products. “This new brand identity for MagnaCare embraces our proud history and our bright future as the leader in Labor benefits and health plan management services,” said Rosemary Chowallur, VP of Marketing at MagnaCare. “It’s important for MagnaCare’s branding to embody what our customers and partners experience, so we asked them for direct input. The result—a new logo that’s bold yet approachable, combined with a modern look-and-feel and comprehensive website—now aligns beautifully with MagnaCare’s core values. For 25 years, MagnaCare has provided quality health care services to a core Labor audience as well as to brokers, TPAs, and workers’ compensation and no-fault payers. Over the course of its history, it has built a reputation for being responsive to and invested in its clients’ success and building strong relationships with its customers. With this refresh, MagnaCare will even better support existing customers while elevating its appeal to new audiences. For more than 25 years, MagnaCare has been building health communities together with Taft-Hartley funds, TPAs, carriers, and workers’ compensation and no-fault payors in the New York, New Jersey, and Connecticut tri-state area. Its broad and wholly owned network, full health plan management services, comprehensive in-house medical management, and leading outcomes-based casualty solutions offer the ultimate flexibility and customization that help customers control health care costs, improve health, and achieve exceptional value. MagnaCare is a division of Brighton Health Plan Solutions, LLC. New York, October 8, 2018 – Embattled labor leaders beset by a continuous onslaught of anti-union attacks from the right, struck a defiant tone at MagnaCare’s “Leading Through Challenges” event held in town on October 4. Read more on LaborPress. Did you know that there are more accidental deaths from prescription opioids (20,101 in 2016) than from heroin overdoses (12,990 in 2016)? And that more than 80% of heroin users start out abusing prescription painkillers? The financial ramifications are staggering as well – with much higher work absenteeism and many times more emergency room visits, car crashes, health issues in newborns, rehab treatments, and so on. In fact, health plan sponsors paid nearly twice as much in health care for opioid abusers. Clearly we need to stem the prescription opioid epidemic. Many people suffer from chronic pain in this country – but are opioids right for everyone? During the webinar we present our Opioid Oversight Program, which prevents addiction among newly prescribed members and transitions care for persistent users. Urgent care centers are a little like Starbucks: They seem to be popping up on every corner. Well, there’s a good reason for this, and it has to do with (you guessed it) money. Urgent care centers are like a primary care physician, but in a storefront, and without any continuity in your care. And on all health plans I’ve heard of, they also command a higher copay. But urgent care centers are popular because we’re an impatient society that wants something when we want it, and urgent care centers deliver immediacy in care. If your condition can wait, you’re better off seeing your doctor, who knows you and your history, and will cost you less. Below are some helpful guidelines about whether you should see your doctor, visit urgent care, or go to the ER. Should I see my doctor, visit an urgent care center, or go to the emergency room? Unless it is obvious that you should go to the emergency room (ER) or call 911, you should CALL YOUR DOCTOR! All doctors have an on-call service or a nurse triage line that can give you some direction. Your doctor or the nurse triage line can even call in a prescription to your pharmacy if medications are called for. What if my doctor, her partner, or her practice is not available to speak with me? If you have access to one, you can use a telemedicine service where a physician appointment is done – right on the telephone. Another alternative is to visit an urgent care center. Before you find yourself sitting for hours in a hospital emergency room, or end up with medical fees that are not fully covered by your health plan, explore other options first. Urgent care is basically a primary care physician who you doesn’t know you, in a storefront. It’s preferable to go to your doctor who knows you and your medical history, for better coordinated care. Plus, you pay a lower copay to your doctor than you would pay at an urgent care center. However, if you are experiencing a non-life-threatening situation that can’t wait until your doctor can see you, an urgent care center is a fast, more affordable alternative to the emergency room. What if I don’t have a doctor? You can find a doctor who’s in your network and make an appointment. If it’s after hours and you don’t have a doctor you can call, then go to urgent care if it can’t wait to find a doctor in the morning. What exactly is emergency care? Emergency care is necessary when a person has an unexpected onset of symptoms or a severe medical condition, accident, or illness that could place a person’s health in jeopardy if not treated with immediate medical attention. Severe, sudden symptoms or conditions that don’t quickly get better such as chest pain, extreme shortness of breath, and bad accidents causing severe pain or bleeding require emergency care. As medical guidelines evolve, MagnaCare aims to keep you informed and recommend the best course of care for your members. The American Cancer Society recently released new guidelines regarding colorectal cancer screening for average-risk individuals, lowering the recommended age for screening from age 50 to age 45. The cost implications of these recommendations are potentially significant. Under the new guidelines, your member population would receive the screening at an earlier age, and therefore get more screenings over their lifetime. Additionally, screenings are not without risk to the patient. For example, colonoscopies can tear the lining of the colon and virtual colonoscopies subject the patient to high levels of radiation. It’s important to note that other guideline-producing organizations such as the US Multi-Society Task Force on Colorectal Cancer and the U.S. Preventive Services Task Force (USPSTF) have not changed their recommended starting age for colorectal screening, which remains at age 50. Based on these standard guidelines, MagnaCare continues to recommend colorectal screenings starting at age 50 in average-risk people, except for African-Americans in whom evidence supports screening starting at age 45. We also recommend benefit designs that encourage performing the procedure at a participating doctor’s office or ambulatory surgical facility, not in an outpatient hospital setting which is typically much more expensive without providing any additional benefit. MagnaCare will keep abreast of this issue as the medical organizations build consensus and make strong, clear, and consistent recommendations, and we will recommend coverage determinations based on their decisions. ROSLYN, NY, August 7, 2018 – Physicians’ Reciprocal Insurers (“PRI”), the second largest admitted medical malpractice insurer in New York State, today announced the renewal of a cooperative agreement, first established in 1998, with MagnaCare, a leading full-service health plan administrator based in New York. Under the agreement, full-time physicians associated with MagnaCare will receive a 7 percent discount off their malpractice premiums. The American Business Awards are the U.S.A.’s premier business awards program. All organizations operating in the U.S.A. are eligible to submit nominations – public and private, for-profit and non-profit, large and small. The awards reflect Brighton Health Plan Solutions’ pioneering contributions to how health care is accessed and delivered throughout the New York tri-state area. In 2017, under Simeon Schindelman’s leadership, the company launched its latest innovation, Create®, which combines a proprietary online technology platform with a competitive provider marketplace for commercial, labor, and public sector health plan sponsors. Leveraging Mr. Schindelman’s deep industry expertise, Create has established partnerships with leading health systems, including Mount Sinai Health System and Long Island Health Network in New York, and Hackensack Meridian Health, Englewood Hospital and Medical Center, and Saint Peter’s Healthcare System in New Jersey. This year, the total number of nominations exceeded 3,700 from organizations of all sizes across industries. More than 200 professionals worldwide participated in the judging process to select this year’s Stevie Award winners. 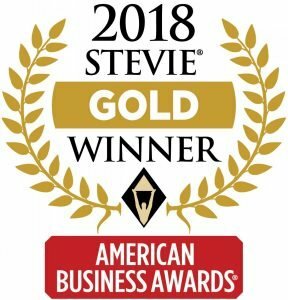 For more information about The American Business Awards and the list of 2018 Stevie winners, visit: www.StevieAwards.com/ABA. Headquartered in New York City, Brighton Health Plan Solutions (BHPS) is an innovative health care enablement company with several industry-leading brands, including Create and MagnaCare – all on a mission to deliver better health care at lower cost. We believe aligning the interests of our partners through exceptional health care products and services will fundamentally transform how health care is accessed and delivered.